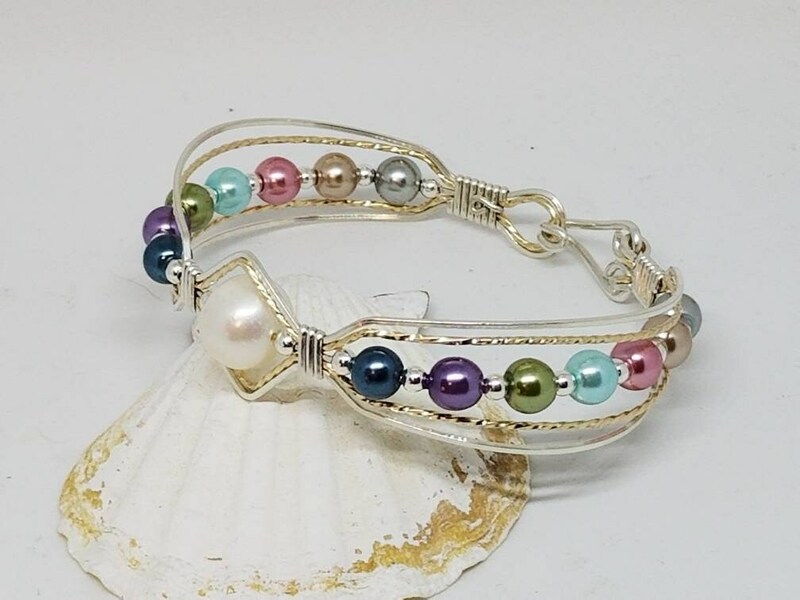 This bracelet has some amazing colors. 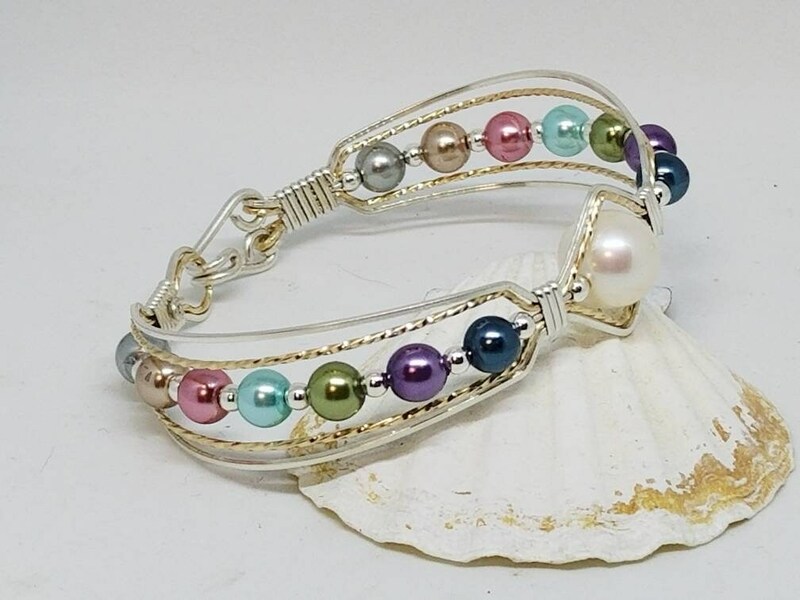 Wrapped in 14kt GF and Fine Argentium Silver with bright and colorful glass pearls. 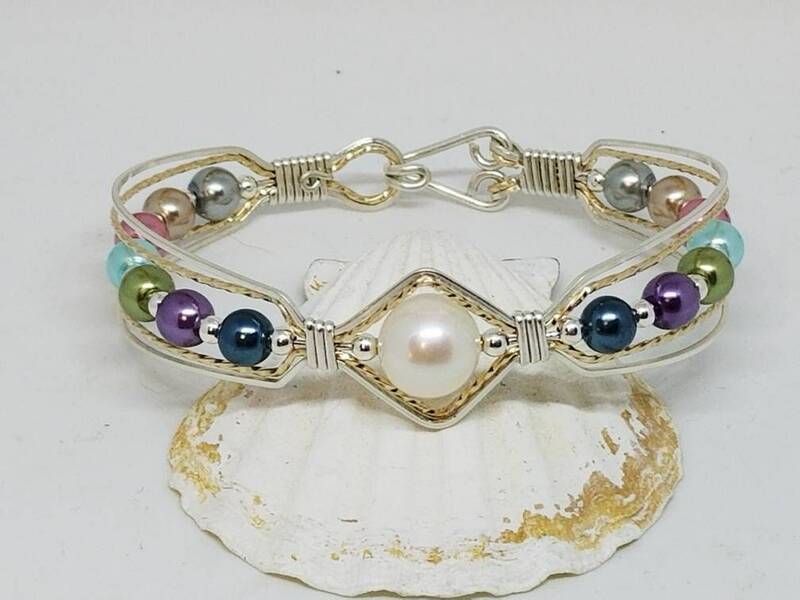 A large 12mm freshwater pearl centers this beautiful piece.